Reliable solution to Restore Deleted Email Items or Data from archived, password protected or encrypted Outlook OST files. Recover deleted mails, calendar items or contacts swiftly using OST Deleted Email Recovery software. Recover Hard deleted Email Data from Exchange Outlook OST File. Retrieve Permanently Deleted email items such as calendar, journal, contacts, tasks, etc.& orphaned data. Preview recovered deleted email message with attachments. The Deleted Emails recovery by the software are highlighted in Red Color. Exports the recovered email data into Office 365 / PST / EML / MSG / HTML file formats. Support All MS Outlook 2019, 2016, 2013, 2010, 2007, 2003 (32 bit & 64 Bit) Versions. OST Deleted Email Recovery software ensures retrieval and restoration of shift deleted ost mailboxor permanently deleted emails synched with exchange server using MS Outlook. The software penetrates and recovers data from encrypted or password protected Outlook OST Files. The OST File Recovery Software enables users to remove OpenPGP and S/MIME encryption from OST email messages. There is a “Remove Encryption” option in the tool to enable this feature. Moreover, the tool also offers 7+ preview options while recovery process. The tool provides users with an option to Search File in two ways i.e. search file in selected drive or all drives. The users can browse and add multiple OST files by searching them within the selected drive or all drives as per requirement. Orphan OST Deleted Email Recovery carves out hard deleted or shift deleted email messages with attachments proficiently. The software previews the recovered email data along with attachments such as MS word, PDF documents, images, etc. without any hassles. Designed to simplify deleted email restoration from Orphan Exchange OST files, the software implements easy to use Outlook style user interface to make the users familiar with its functionality and makes it much easier to use and navigate. The software performs precisely restores soft or hard deleted items from OST file and ensures that the email metadata aren’t tampered, thus maintaining the integrity of the data. Outlook Deleted Email Recovery ensures 100% meticulous restoration of confidential or crucial deleted email data. OST Deleted Email Recovery helps to recover hard deleted email from archive ost file , protected or Orphan OST files without losing any crucial bit of information and Restores Soft deleted emails. Perform eDiscovery of deleted emails or items from password protected or encrypted organizational Exchange Outlook OST File. For the organizations having Exchange server deployed as a mail server, the commonly used email client to send or receive emails is MS Outlook. 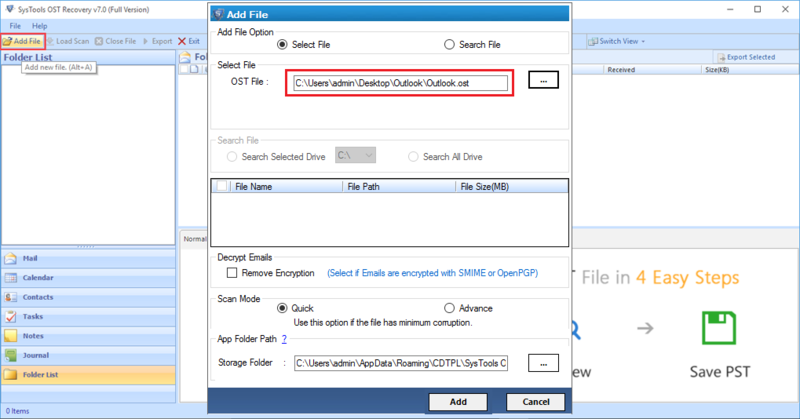 Outlook Creates OST File or Offline Storage Table file to store the information when the service is offline, as soon as the service is turned online then the saved emails and information are synchronized with the server & delivered to respective client immediately. What hppens when information are hard deleted from OST File? Runtime Synchronization issues, connectivity errors, system generated errors or malicious attacks causes permanent loss of information beyond manual recovery. 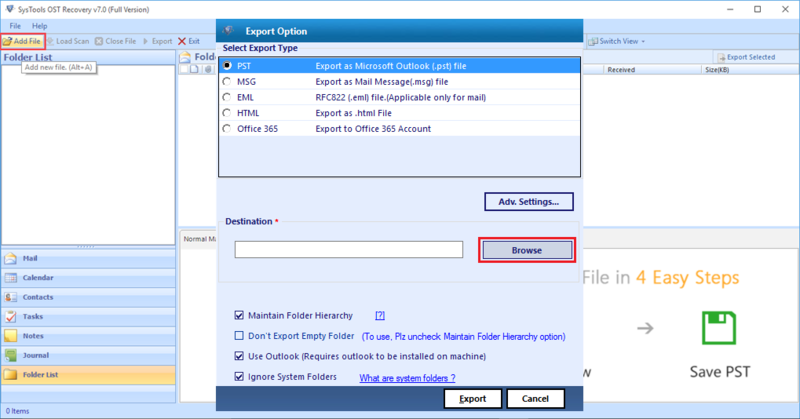 How to Recover Shift Deleted Emails from Exchange Outlook OST file? Manually it becomes quite troublesome and almost impossible to retrieve hard deleted emails from outlook OST File. In this scenario, Archived OST Deleted Email Recovery Utility serves as a savior by efficiently recovering the deleted email data and items without any hassles. The software helps to retrieve and restore deleted emails from encrypted, password protected or Orphaned Outlook OST files. With its semantic recovery algorithm, Outlook OST deleted email recovery software ensures deep level carving of deleted email artifacts or data. Use advanced mode to perform deep level scanning and carving deleted email data and items proficiently. 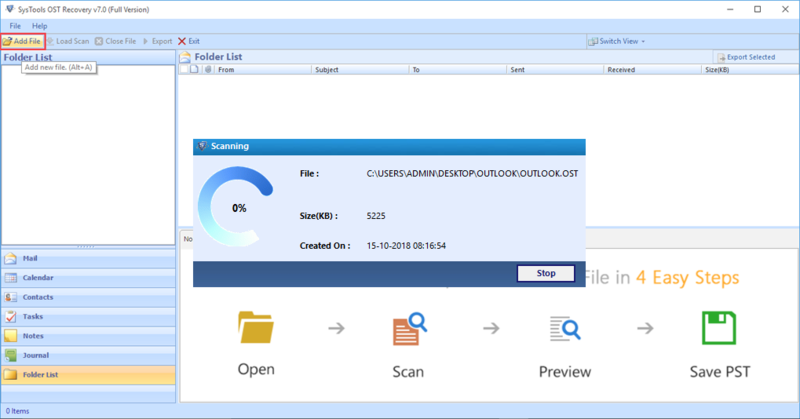 For the organizations keeping crucial information on archived or protected Outlook OST Files, the software serves a great purpose for eDiscovery or to carve out deleted information professionally. While recovering email artifacts, investigators suspected presence of deleted email data involved in an IP theft. With the help of Archived OST Deleted email Recovery tool, we were able to recover and preview deleted email data & attachments. Where are the OST Files Stored by Default? Windows 7 & Windows Vista: drive:\Users\user\AppData\Local\Microsoft\Outlook\... Windows XP: drive:\Documents and Settings\user\Local Settings\Application Data\Microsoft\Outlook\... By default OST files are created by the name outlook.ost. 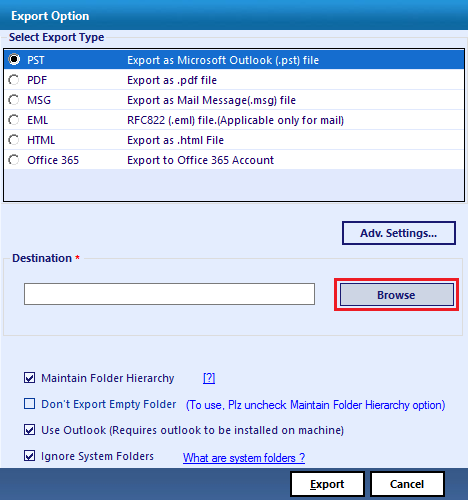 *Note: Outlook creates OST files when Microsoft Exchange Server's Cached Exchange Mode is enabled. Do I need to have Exchange Server environment to Recover Deleted Emails from OST Files? No, the software doesn't require Exchange Server Environment to retrieve & recover deleted emails. Exchange Administrators really face a big situation when it comes to deal with deleted email data recovery. Especially when the emails are lost beyond the retention period but, thanks to OST Deleted Email Recovery tool I was able to recover & preview deleted email data and items precisely. Few weeks back due to inexperienced exchange server administrator, crucial organizational data got hard deleted beyond recovery. 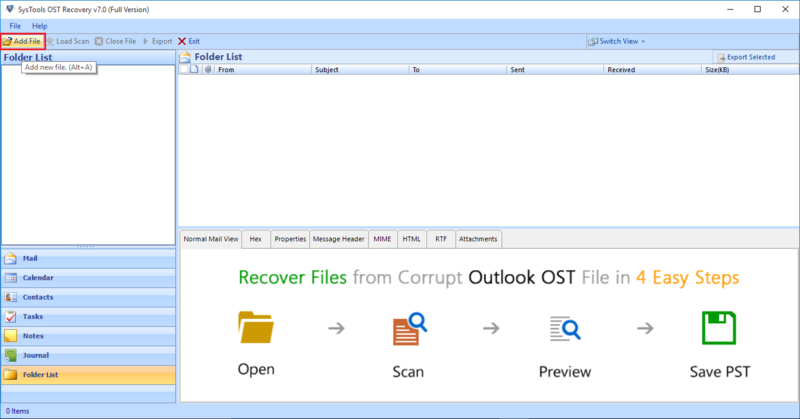 Thankfully using backup Offline OST Files, we were able to retrieve and recover orphaned & shift deleted ost mailbox emails from Archive Outlook OST file. Recovering deleted emails from archive OST file became a huge challenge for us due to heavy archive files and their backups. Glad that there is a tool concerning the convenience of OST Deleted Email Recovery. Extremely pleased with the advanced mode which extracts permanently deleted email data. Faced by a situation to recover permanently deleted emails from Archive Outlook OST files, our organization preferred OST Deleted Email Recovery by EmailDoctor™ . We were amused to see that that we were able to extract crucial deleted email items and messages from a bulky OST File within few moments. Thanks EmailDoctor™ for such a brilliant solution.